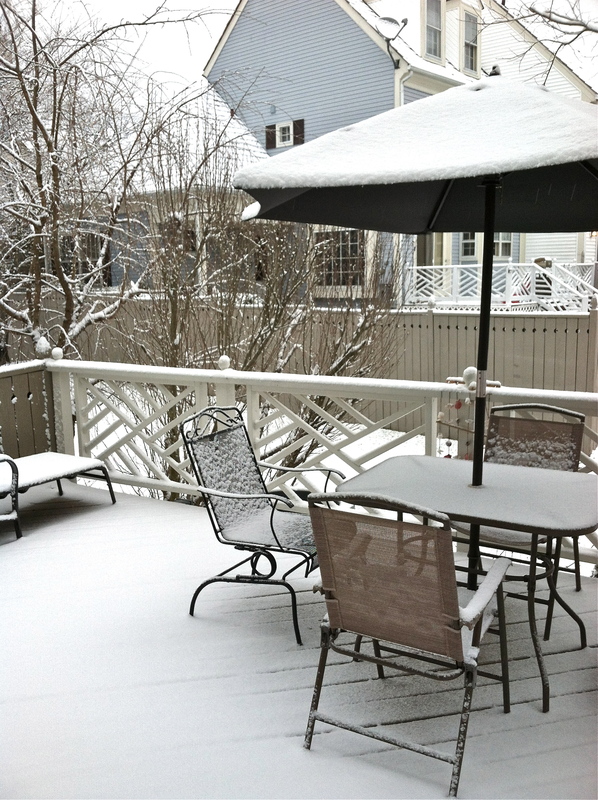 Late last week, with hopeful signs of Spring, I swept the deck, and put out the patio furniture and umbrella, anticipating warmer weather and sunny days. Alas, it was a bit too early, as there are inches of snow on the ground this morning. Cold weather makes me pine for hearty soups and stews. Makes me grateful for internal warming with great friends and good food. A Moroccan meal with friends in their inviting home recently has a special place in my heart, conjuring up memories of travel to Marrakesh a few years ago when I lived in London. Fragrant spice markets and the aromas of roasting tagine dishes were a feast for the senses. This entry was posted in Capturing Thoughts, Gratitude, Travel and tagged groundhog, long winter, Marrakesh, meals with friends, Morocco, nourishing, patio, Snow, soul food, spice market, Spring, tagine by Tracy MacDonald. Bookmark the permalink. If I remember correctly it’s Gropher. Ha! Yes, the infamous gopher-groundhog “Gropher” mix. Well, Gropher was definitely wrong. Where is Spring? We are supposed to go on a cherry blossom boat tour and nary a petal is blooming. They may have to rename it Twig Tour perhaps? You brought a huge smile to my face with this post. It warmed me up on such a cold and dreary Monday. Thank you for your thoughts and for your friendship.